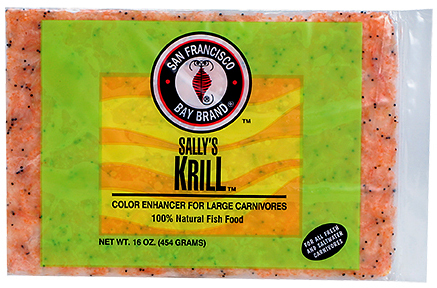 Krill is an excellent food for your large freshwater and marine tropical fish. It contains astaxanthin, a carotenoid that brings out the color of your fish, and it is high in essential fatty and amino acids. All Freshwater Cichlids, Loaches, Eels, & Catfish and all Saltwater Groupers & Eels.